Wow, what an amazing Saturday I had. I'm sure I have mentioned my health kick I started a few months back? Well, I decided I needed challenges to help me stay mentally motivated. One night I typed into google - local 5k races and the next thing I know I am signing myself and my friend Sami up for 'Run Balmoral 2014'. Two of my other friends, both Fiona's, had mentioned they were partaking so it sparked my interest. Training has been difficult, having never been a 'runner' it has been extremely challenging. I started off doing intervals (2 mins run, 1.30 walking) 2 or 3 times a week and gradually built up to running the full 5k. I remember the first ever time I ran the full 5k, during training, my time was something like 43 minutes. Gradually the times started to get better, I said to myself, if I can complete the race in 45 minutes I would be pleased. In all honestly finishing would be an achievement. 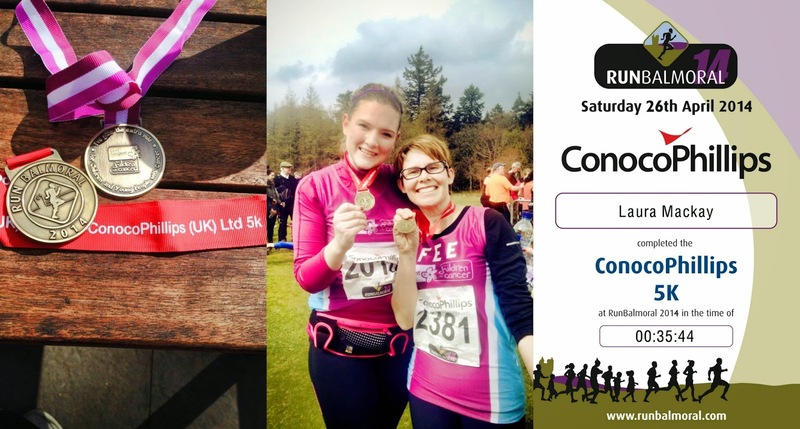 We chose to run as part of the 'Clic Sargent' team. Clic Sargent is a Cancer Charity dedicated to supporting children and young people with the terrible disease. 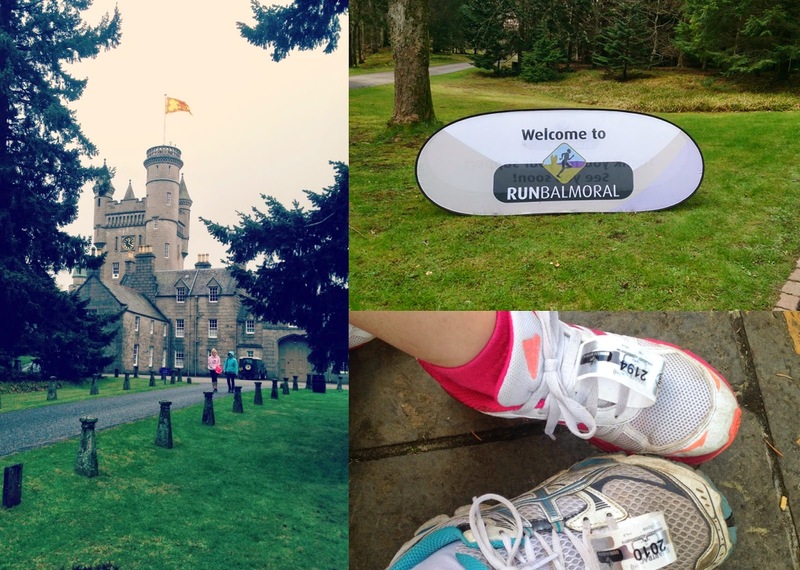 Yesterday we took ourself off on the 2 hour drive to Royal Deeside which is home to the spectacular Balmoral Castle for our race. The Clic Sargent team were there to greet us. We didn't have supporters with us this time due to family commitments but the support we received from Clic Sargent and the spectators was just amazing. Who knew how much Hi-5's from children as you passed them would spur you on! Talk about emosh! The route is notoriously challenging but Sam spurred me on, she has a quicker pace than I but wouldn't leave my side. Such a star. With the finish line in sight could feel the tears welling in my eyes. We did it! 35:44 seconds and for a first race extremely happy.. Oh and we have raised over £300. The next race is in a fortnights time the 'Duecht Dash' another 5k - lets beat 35 minutes! Have any of you done something like this - would love to hear your experiences.